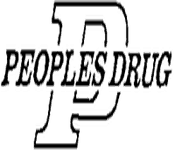 Peoples Drug was founded in 1904 by Malcom Gibbs and was based in Washington D.C. In 1984 Peoples was almost 800 stores strong and was acquired by Canadian Clonglamorate Imasco. Because Peoples was not performing as expected in 1990 CVS purchased Peoples Drug. In May of 1994 all the names of the stores had been changed to CVS.